The Yellow-tail Cribo is a species of snake of the family Colubridae. 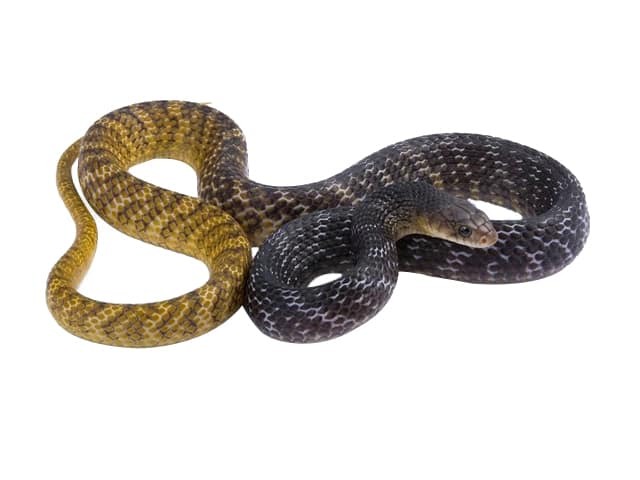 The snake is nonvenomous and is immune to other snakes’ venom. They have a more slender build, and on average, tend to be the most aggressive of all Drymarchon. Drymarchon corais have yellow to almost yellow colored head with a dark gray to black neck fading to by mid body sulfur yellow.